GDP growth was revised UP. What's up with your growth plans? Headline: "US second-quarter GDP growth revised up to 3%"
You most likely noticed that five word warning tucked into that article. This caution only applies to those requiring financing to help them ramp up production to meet demand in the growing economy. As the news article indicates, consumer confidence is rising and employment is nearly full. That means more shoppers will be in the market to buy products like yours - or your competitors' products. Be prepared for more customers AND more competition with new advanced equipment, and get it now while interest rates are still in your favor. This system starts paying for itself immediately with greater plant efficiency that will help your bottom line profits NOW and long into the future. Click here for more Waste-exit info from GSG. This machine is the most versatile available. It's everything you need: fast sewing speed, strong enough for thick panels, and Posi-Trim T&J thread trimming that eliminates non-value-add touches in your quilt department. Click here for more Gribetz Paragon M+ info. If you need to invest in future growth for your mattress business, now's the time, and if you're looking for the best ROI for that investment, now's the time to contact GSG! Are you planning to keep pace with competitive factory productivity? Your fellow manufacturers are moving forward with positive expansion plans... are you? Obviously there are pockets of both growth and contraction from month to month, but the overall global outlook for manufacturing is GROWTH. Recent reports from Europe to SE Asia have indicated manufacturing economy expansion and companies are gearing up for it with new, advanced equipment to keep up with this upward trend. 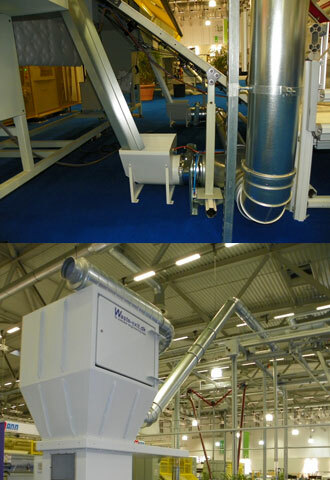 GSG has been moving forward with new partnerships to make your production more efficient and profitable. 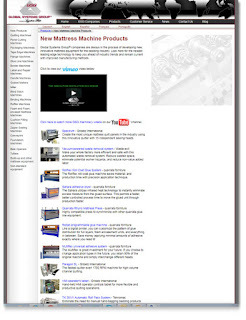 We've also developed new mattress equipment debuted at the Interzum Trade Fair, in May. Don't rush into a machinery purchase from GSG! Maybe you're not ready to buy our new Gribetz Spectrum quilter today, but you may be ready to start a plan today. Contact your local GSG representative to schedule a planning meeting today so you can prepare for the global manufacturing changes currently underway. US factory expansion is up (good) and so are raw goods costs (bad)! ...While the ISM index settled back from a June level that was the second-highest since 2011, it remains above the average over the past year, as are its three main gauges. The figures signal that optimism about the economy is enduring among American businesses even as prospects dissipate for swift changes on tax and infrastructure policy from Washington lawmakers. Goods producers are sustaining progress that’s been building since 2015. Steady U.S. consumer and business demand, along with a recovering global economy, are allowing manufacturing to hit its stride. That's the recent news from IndustryWeek magazine. Overall, it's good news for manufacturing, but pay attention to the last Key Takeaway in the final paragraph. It specifies an increase in Prices Paid Index. This story indicates that production is strong, optimisim is strong, but your raw materials cost is going to take a bite into your profit margins. Unless you make some adjustments... As the world's economy growth and demand improves, your material costs will continue to swell. You may not have the leverage to force your supplier to keep raw goods prices down, but you can offset those costs with some manufacturing adjustments. When your raw goods increase you have to counter that by decreasing your scrap waste and decreasing the cost to convert it to finished goods. That's achieved through improved efficiencies. 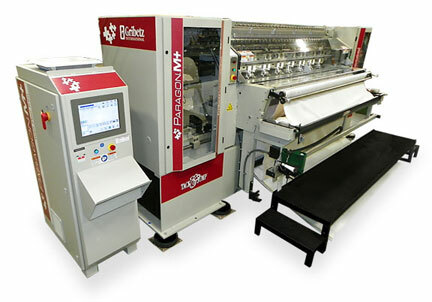 One way the new Gribetz Spectrum quilter does this is by reducing downtime required of changes to needle settings. Since the Spectrum's unique design uses 15 independent sewing heads, NO needle setting changes are necessary to switch from one pattern design to another! Each sewing head can be independently controlled and automatically turns off/on as needed. With the Spectrum, you can create the most unique product designs to be competitive in this increasingly competitive industry while still maintaining a profitable bottom line with better production efficiencies. Besides reducing downtime, you can also increase your daily yield sewing at 1400 RPM on the Spectrum! GSG has equipment to improve your bottom line through improved productivity and efficiencies in every part of your mattress factory. Click here to learn more about all our New Products.